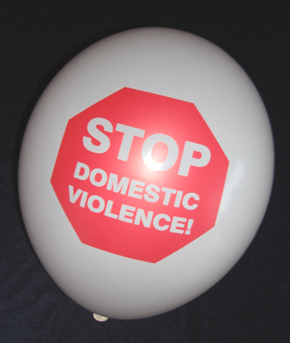 Bag of 100 Balloons - 11" White balloon, with color imprint on two sides. 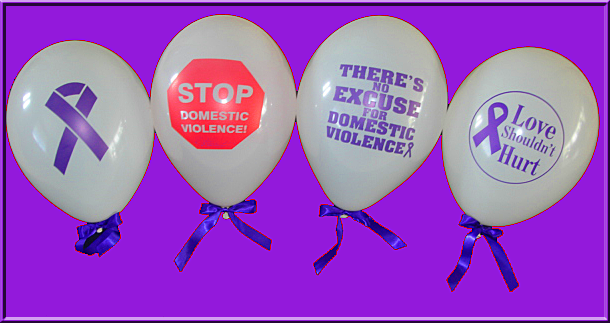 All one style or you can choose a bag with an assortment of all four Domestic Violence designs. 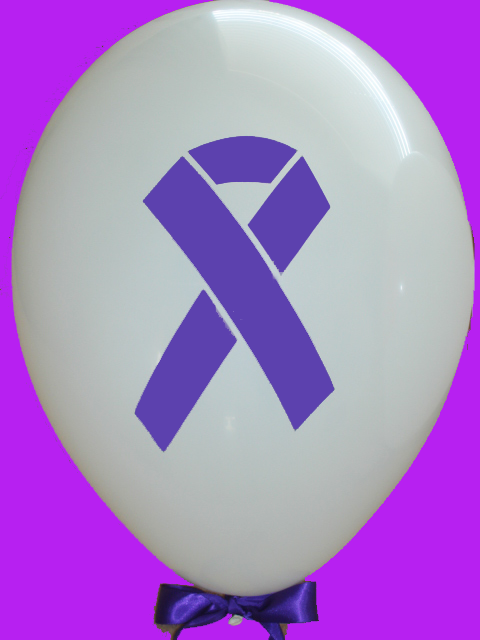 11" White balloon, with purple imprint on two sides. Bag of 100 balloons, only $39.00. 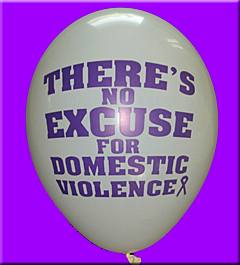 You can also choose a bag with an assortment of all three Domestic Violence awareness designs.